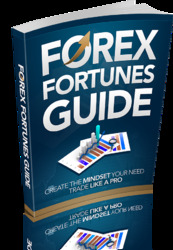 There are many opportunities for you to profit from the forex market. For example, if you have an opinion that the Euro is going to rise in value against the US dollar, you can "long" the EUR/USD, which means to buy the pair in the hope that the exchange rate will go higher. You would then make a profit if EUR/USD appreciates, as you would be able to sell at a higher price than you have bought it at before. But if you think that the Euro will weaken against the US dollar (i.e., EUR/USD will go down), you can initiate a trade by selling EUR/USD (known as going "short"), so that if EUR/USD later does go down in value, you would be able to make a profit by buying back at a lower price. When you hear someone talking about the "forex market", the chances are that he or she is referring to the spot forex market. The spot forex market is where a trader buys or sells a currency at the current price on the date of the contract for delivery within two business days. Of course, for most speculators, there is no real delivery of actual cash, and the way this is done is through rolling over of positions [more of this will be explained under "Warming Up" later in this chapter]. This and many other peculiarities give the spot forex market its own unique characteristics which make it an interesting market to trade. The forex market operates worldwide and non-stop for five and a half days a week. Every day it moves along with the sun: beginning in Sydney, to Tokyo and then Singapore, through the late Asian afternoon when London and other European centres open just as Asian markets are preparing to close. The European open initiates the heaviest trading volume of the day and by afternoon in Europe, New York opens, followed by Chicago, then Los Angeles. Just as sunset signals the closing of the US market, sunrise in Sydney starts a brand new trading cycle all over again. By contrast, with the stock and futures markets, one would need access to electronic communication networks (ECN) for pre-market trading, or would have to wait till the markets open - and open sometimes with a gap if there has been news while the markets are closed. Since the Asian session is usually quiet for currencies like the Euro or Swiss Franc, I use this time to do market research, calculate and set up my trades for the afternoon when the European markets open. This gives me ample time to digest the news of the night before and the morning itself, which allows me to anticipate the movements of currency pairs later on in the day. The forex market is the planet's most liquid market. With more than $2 trillion changing hands every day, traders have no worries about liquidity when it comes to trading any of the big-economy currencies: USD, GBP, EUR, CHF, JPY, CAD, AUD and NZD. This is especially the case when they are paired up with the US dollar - at least 80 percent of foreign exchange transactions have a dollar leg. The London market accounts for almost one-third of the global total daily forex turnover, and thus tends to be the most volatile session of the day, with the majority of forex transactions completed during the London hours due to the market's liquidity and efficiency. The unparalleled liquidity of forex translates into very little or almost no slippage when you trade during normal market conditions (not during news); there is rarely any discrepancy between the displayed price and the execution price. Since currencies are always traded in pairs, when you are bullish on one currency, you are bearish on the other - and vice versa. For example, if you are bullish on GBP/USD, you go long of it by buying Pounds and selling US dollars; but if you are bearish, you can short it by selling Pounds and buying US dollars. You can short a currency pair anytime you want, without any restrictions. This is different from some stock markets whereby short-selling is only allowed on an uptick, so it can be quite tedious and time-consuming for stock traders to have to wait and see the stocks going down while looking out for an uptick before they can short. 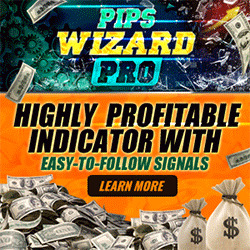 Being able to go long or short on currency pairs anytime is a tremendous advantage as forex traders are able to profit from both up and down trends anytime, and this translates to a more efficient and instant order execution. This is especially valuable in the financial markets where time equals money, and even a second's delay could cost you money. Who doesn't like trading on other people's money? With possible leverage of up to 400 times, the forex market indisputably offers the highest amount of leverage compared to other markets. This high end of leverage is usually offered to mini trading accounts, due to the smaller lot sizes and lower minimum account deposit requirements. With a 100 times margin-based leverage, that is typically offered for standard-sized accounts, forex traders are allowed to execute trades of up to $100,000 with an initial margin of only $1000. It is important to note that while a high degree of leverage allows traders to maximise their profit potential, especially on a small price move, the potential for loss is equally large. Many people mistakenly shy away from trading forex after hearing that it is a highly leveraged trading instrument, but these people do not realise that leverage is and can be customised to the individual trader's own preference. If you tend to be more conservative with risk-taking, you may choose to use no more than 10 times leverage, or none at all. For those of you with more aggressive risk appetite, you can choose a higher amount of leverage in your trades. The choice of leverage lies with you. Since forex transactions are done the OTC way, with traders dealing directly with the market maker or other parties, exchange and clearing fees are not applicable to forex trading. Market makers typically do not charge commissions on trades that are executed through them, while Electronic Network Communications (ECN) do charge a small commission on top of the bid-and-ask spread. Due to the high level of liquidity in the market, currency pairs usually have very tight spreads especially during normal market conditions when no news is scheduled for release.